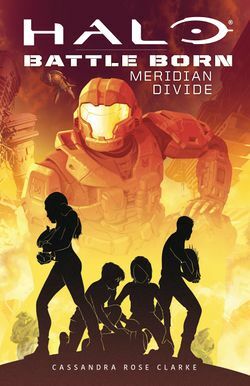 Halo : Meridian Divide est un roman de Cassandra Rose Clarke édité par Scholastic, la suite de Halo : Battle Born et le deuxième livre de la série Battle Born. It's been three months since the colony world of Meridian was invaded by the alien alliance known as the Covenant. Under the close watch of the military, Evie, Dorian, Saskia, and Victor have been put into an accelerated training program with ONI, the Office of Naval Intelligence. And to the teens' surprise, ONI has a mission for them: Return to their hometown on Meridian and monitor the Covenant's efforts to retrieve an ancient Forerunner artifact of untold power. But what seems like a simple job quickly spirals out of their control. With the artifact at risk of falling into Covenant hands, the stakes are raised, and ONI tasks the teens and their team of militia fighters with extracting the artifact for study. After a series of missteps with command costs the militia more than half their fighting forces, the teens take matters into their own hands. Their journey will take them far behind enemy lines, into the heart of the war zones on Meridian. 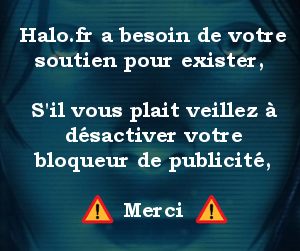 Dernière modification de cette page le 19 avril 2019, à 11:23.